China International Art Fair was held in Beijing on October 7-11, which presented works of different artists from both China and abroad. 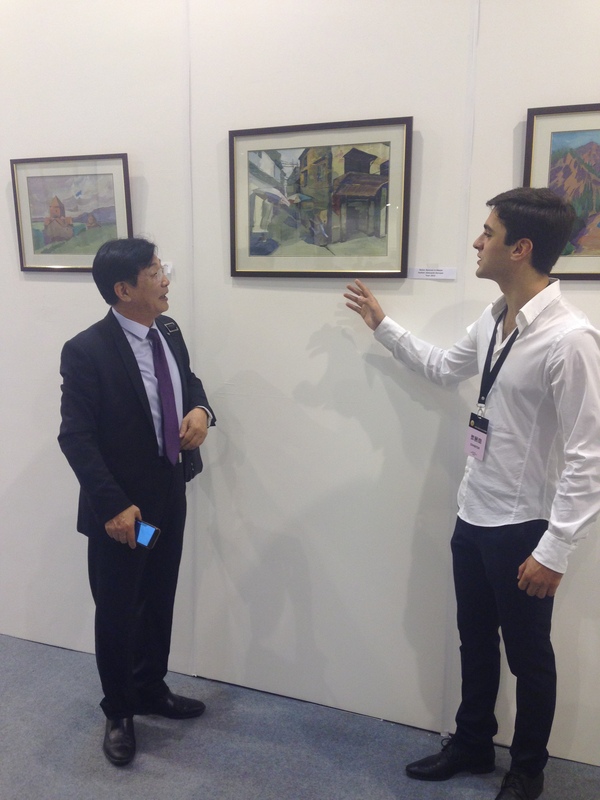 Besides the Art organizations and Painter unions, the organizers have also provided exhibition pavilions to some of the diplomatic representations accredited in Beijing including Armenia. By the support of the Embassy of Armenia more than 20 paintings of Armenian artist Alexander Deroyan were presented. After visiting different cities and destinations in China and being inspired by the reach culture and landscapes, the painter could create artworks combining the rich Armenian art traditions and landscapes with Chinese motives. Information materials about Armenia and Armenian tourist destinations, souvenirs were also presented in the Armenian Pavilion. 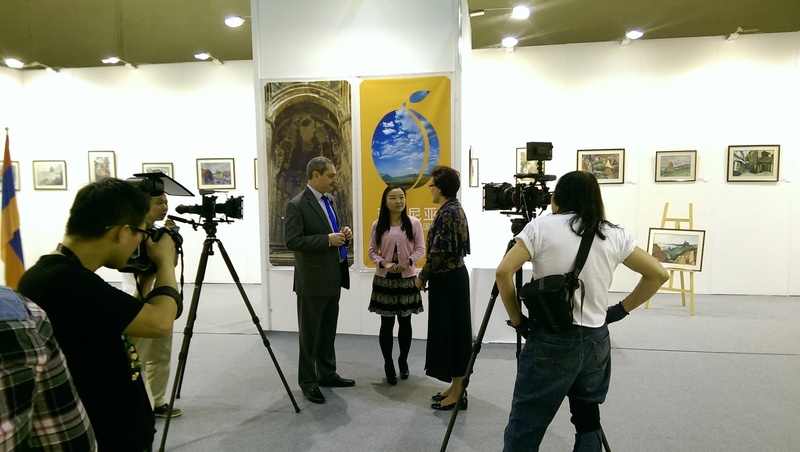 Ambassador of Armenia to China Armen Sargsyan was present at the presentation of the Armenian pavilion. 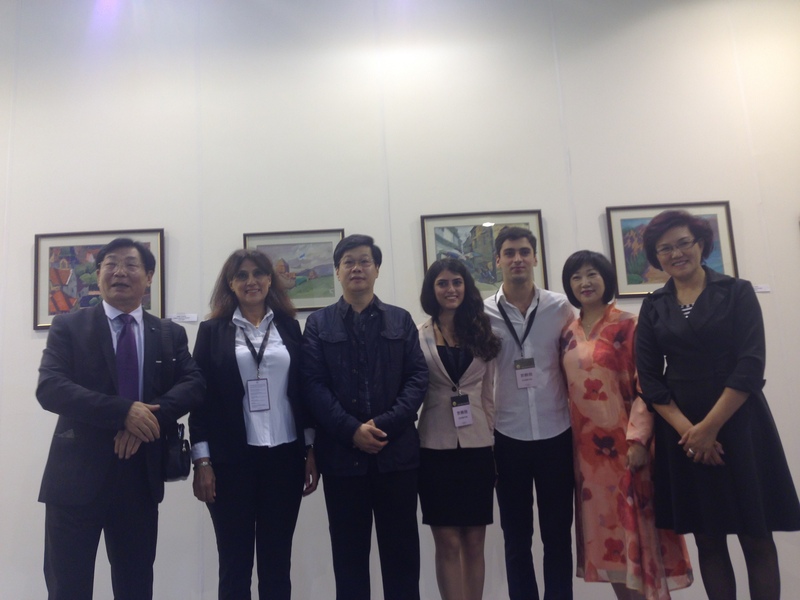 He has briefly presented Armenian art, culture, history, Armenian-Chinese cultural and historical links to the organizers of the exhibition, Chinese artists, representatives of the Chinese media and to the visitors of Armenian pavilion. Ambassador has also spoken about the friendly relations between the two nations and stressed the importance of cultural links and exchanges in strengthening and developing these relations. The Armenian Pavilion was highly praised by the organizers and visitors.